Malls are a huge deal in Jakarta and as one would expect, this city hosts some of the best malls in Asia where you can find almost everything you need in one enormous space. Furthermore, not only are they shopping havens, malls are also a great place where you can find really delicious local and international foods whether they be in the trendy cafes or in budget friendly food courts. In Gandaria City, the Eat and Eat food court chains are delivering some of the best local and international foods. Firstly, Eat and Eat is very well decorated, using the concept of old school Chinese decor with rustic and classic posters. And unlike most of the other food courts which can be slightly crowded and hectic, they have more of a calming and non pretentious ambience. Secondly, if you are a lover of South Asian foods, Eat and Eat has the most comprehensive choices available such as soups, traditional hawker food, Prata bread and their Javanese and Sudanese section is just divine. If you want to sample some traditional Javanese dishes, we highly recommend the gudeg and pecel as they are wonderfully prepared. The arrays of food are displayed so attractively that it is pure eye candy. After scanning through the delicious traditional and proper foods, we are relieved to find hat there is absolutely no fast food option in sight. 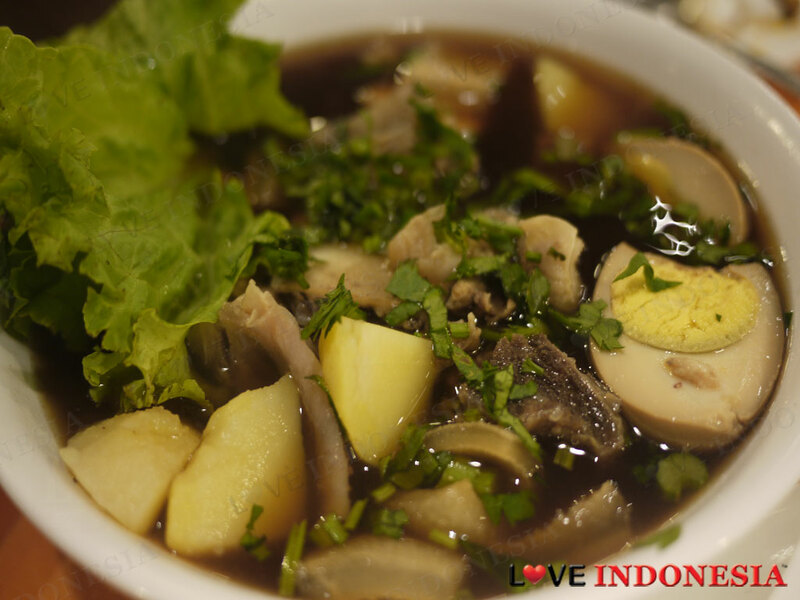 We also recommend you try their Pindang Iga Sapi, which is a hearty soup of whatever bits and pieces of cow you can think of (bones, intestines, tongue) diced into pieces and served in a slightly sweet soy sauce broth and herbs. If you cannot make it to Gandaria City, you can find other Eat and Eat locations in Kasablanca mall, Kelapa Gading and Summarecon Mall Serpong. This is a food court unlike any other, as here you are able to access a wide variety of traditional and popular foods without being surrounded by the usual fast food options. SNGT tdk didukung olh bgian playananny, yg sngt buruk! Ajm term n'condition yg kurng jelas. sama sekali tidak menghargai konsumen. security yg tdk bermoral n' smp dtik ini tdk ada itikad baik dr eat n' eat. Kalau bersantap di Eat n Eat coba dech, Carrot Cake di salah satu gerai masakan Singapore yang berada di Eat n Eat ini. saya biasa makan yang di Mal Kelapa Gading. Meskipun rasanya tidak se-otentik masakan asli-nya tapi boleh di coba. Rasa-nya cukup pas di lidah. What is near "EAT and EAT"?